8 Best of the Best of 2016 Lists - Picture Books! Summer Project: Teach Kids How to Read! Five Favorite Books for Rosh Hashana! YOU Can Make Them Love Books! There are lots of children’s books about mommies, but what about aunties? 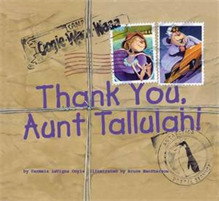 Fortunately for us, there are some really sweet books about children and their aunts as well. We had to search high and low but our efforts were rewarded by the discovery of these delightful stories about aunts and the special role that they play. In this adorable book, a story is woven within a story when Penelope spends the night with her Aunt Isabel. At bedtime, the aunt tells an imaginary tale, with the help of her niece, involving the adventures of a prince who is determined to win his lady’s hand in marriage. The whimsical illustrations and attention to detail make this the perfect read for every aunt and her niece! Little Bettina is enjoying the hot weather at summer camp. She especially looks forward to the regular care packages she receives from her silly Aunt Tallulah who lives in Antarctica. The gifts seem to be a bit off mark (a fluffy scarf, knitted gloves, etc.). But the invaluable relationship between a niece and her aunt is right on, as indicated through their loving and humorous correspondence. This funny book, based on the melody of the classic folk song “How Dry I Am”, tells the story of an aunt who travels to distant places. Each time she returns, the aunt brings back interesting things. 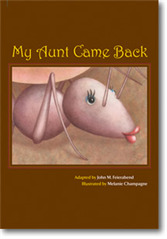 The rhyming tale ends with a unique twist that will keep your nieces and nephews begging for another read. 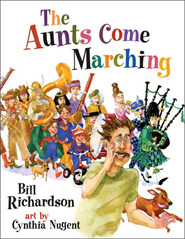 Nieces and nephews will enjoy this familiar song and giggle with delight as a noisy group of “aunts” march across the pages. A spirited group of aunts play their instruments in a humorous take on the original song. The silliness continues as the raucous group of aunts takes over the house, much to the disdain of the adult relatives inside. A truly fun read aloud! 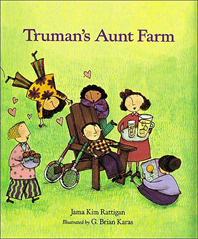 In a fun play on words, Truman’s Aunt Fran sends him an “aunt” farm for his birthday. Instead of tiny, crawly creatures, the boy is overwhelmed with a houseful of every kind of aunt imaginable. The playful book continues with Truman’s quest to match each aunt with the perfect niece or nephew. When he has finally finished this daunting task, he himself is united with the last aunt standing- good old aunt Fran. Looking forward to getting some of these books. I have to read to my neows and nephew over Face Time but it gets the job done. These look great and they will love them. Home Expertise Five Fabulous Books About….Aunts!